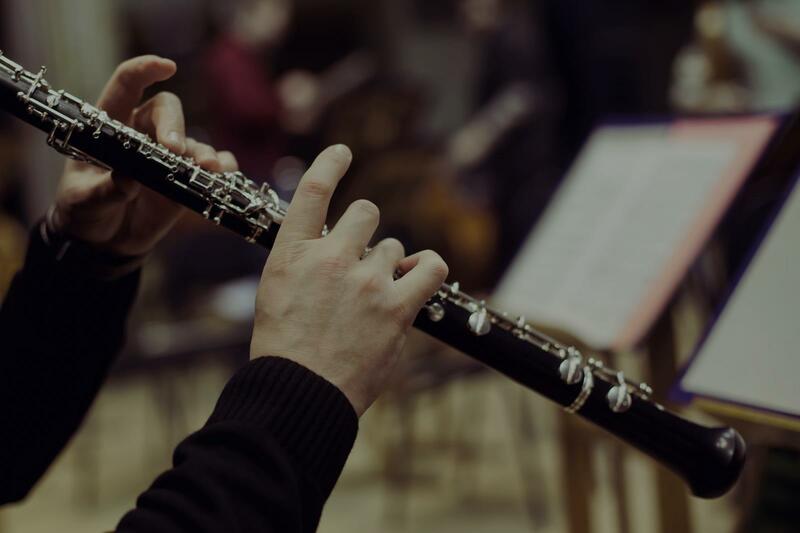 Find the perfect teacher or instructor in Capitol Hill for private clarinet lessons in your home or in their studio. Check out some of our most popular teachers near Capitol Hill including Arlington, Alexandria, Silver Spring, Gaithersburg and Fairfax. Clarinet is fun instrument to play, and I will help you get the most out of your learning. As a clarinet student, you will master the range, tone, and technique necessary to become a good clarinet player. For beginner students, learning will start from opening your case for the first time and progress all the way to playing your first melodies. Beginning students are first taught how to blow across the reed to make a sound on the clarinet before moving on to other basics, including music reading, posture, and breath control. For intermediate students, lessons will focus on breath control and support, posture, tonal quality, finger dexterity, articulation, hand position, sound production, and music theory as well as musicianship skills. Wilma is a very sweet and knowledgeable instructor. My kids enjoy her. I teach students of all ages and abilities. I have a number of clarinet students, one of which went on to major in music education and is now a band director. If you don't live near me, online lessons are a great alternative to in person lessons. I have had success teaching many students of various abilities and ages throughout the country and abroad online ! I have taught online students from 23 different states and 3 other countries. I am a professional musician/teacher with over 12 years of experience teaching private lessons to students of all ages and abilities. I am pursuing my Doctorate degree in music at the University of Colorado have two graduate degrees in music, from the University of Michigan and Northwestern University and have studied with some of the most renowned saxophonists in my field, Timothy McAllister and Eugene Rousseau, as well as jazz with Andrew Bishop. I frequently perform as a jazz musician for various private parties and events as well as a classical musician with various orchestras, as a soloist and in chamber ensembles. My saxophone sextet, The Moaning' Frogs is an internationally known ensemble which has performed throughout the country and abroad. I can teach beginners and those who have been playing for a few years and help with music reading, technique, fingers, etc. I have a Bachelor's degree in Music Education as well as nine years of private teaching experience. My students are all different, so each lesson is different! Strong instrumental playing begins with a solid understanding of the fundamentals of music and the simple act of making a sound from the instrument. Students learn to play music by ear first, and are later introduced to music notation. More advanced lessons emphasize sight-reading, expression, and improvisation. A woodwind player since age 10, Thomas has experience as a performer and teacher. His previous education has included methodology classes on teaching specific instruments, and he is available to teach beginning clarinet lessons. No one ever regrets learning an instrument… yet many grow old wishing they had taken music lessons! A talent they’ll be able to develop their entire life, your children will thank you for giving them the chance to learn music. And bonus points for you: after just a couple years, you’ll have free entertainment every Christmas! 1. Building a really strong foundation so it's easy to interpret or understand any part, and to play it with the right amount of practice. 2. Learning to sight-read music, so you can play it well as soon as possible. 3. Learning how to improvise (make-up) music, learn music by ear, and to understand and create chords, which lets you play music in different ways. 4. Play different styles from classical to jazz to popular music. 5. Learning how to practice efficiently so you can learn music as fast as possible. 6. Composing our own original music. Practice makes perfect! Learning an instrument helps build self-confidence and discipline. If your child’s bored, distracted, or just needs a constructive hobby, music is a great place to get them interested in something that will help them feel better about themselves, and the effects will be felt across everything else they do, through better studying habits to a more patient, diligent work ethic. It’s also relaxing! Stressed about work? Need an escape? Everybody has the power to learn an instrument. Seriously, there’s no such thing as “talent.” Just start lessons and get practicing! It really is that simple, and I’ll guide you through every step of the way. I have a diverse background teaching students of all ages, from 3-year-olds to retirees alike, customizing what we learn to the individual student. We’ll learn how to read music just as easily as you read words; improvise and compose music of our own; and feel good playing any style: classical, jazz, rock, and all. My experience as a working musician in films, musical theater, and pop music, as well as classical concert music, allows me to appreciate and teach styles that many other instructors overlook, and I know full well that learning an instrument is not about becoming a professional; it’s about being able to connect to others or oneself through music… and also to just have fun! There’s no need to learn music we don’t like! It’s not about stuffing Beethoven into your kids’ ears… we just want to make music, be that Beethoven or Billy Joel. Learning an instrument is one of those few skills that will genuinely last you your whole life. I don’t want to sugarcoat it: it takes time to learn an instrument. It takes practice, and sometimes it’s frustrating. But the results are well worth it. Now get out there and make some music! But start by signing up for lessons. I can’t wait to get started! “What’s that chord?” “Why does all my music sound the same?” “How do I fix this voicing?” “I just can’t get it out of my head!” …sound familiar? You’ve probably hit a rut. Or maybe you’re just starting out. Either way, you want your music to sound new, exciting, and to come out exactly how you hear it in your head. Yes… you CAN learn to compose music, you CAN learn to be more creative, and you CAN learn to share your sound with the world. Film music, classical, jazz… whatever your interest, all music comes from the same place, and by learning a handful of basic concepts, you can apply these to whatever style you’re trying to write. Learning to emulate another musician involves knowing what they’re doing. Learning to create a groundbreaking sound requires that you know what’s already been done, and how to achieve it. Step by step, we’ll work our way there. We’ll learn how to write cool, interesting chord progressions, how to write beautiful melodies, and how to voice chords. We’ll learn how to control the mood of our music, from making it sound relaxed to adding tension wherever we want. Maybe you’re trying to write for an orchestra, or just a small band. By learning the basics, you can then easily break away from what’s been done and come up with something truly new… the goal of any aspiring composer! So incredibly patient and knowledgeable! The first lesson was successful. My particular background in piano is unique, and my needs are atypical as well. I thought Thomas assessed my abilities, lack of abilities, and goals well and quickly. He started me on a different perspective on looking at music (reading the staff) that seems very helpful. I'm encouraged. Do you want to learn from the beginning or are you getting ready for an audition? Well I can help. I will tailor you lesson to suit your needs. I am a former instrumental music teacher in the Catholic school system. I have been teaching in some way, shape or form for the past 20 years. My methods of teaching vary depending on the student and what they need to succeed. I make myself available between lessons via text, phone and email for questions regarding the lesson. Please let me know if you have issues with animals, I can put them in another part of the house. I have both cats and a dog. All of which are friendly. Theresa is an excellent teacher. She made us very comfortable in her home but most of all, our child was incredibly happy with his first ever piano lesson. We are hoping for a great outcome. Theresa is amazingly talented! She is very patient. I was quite nervous during the first session. She made sure I was comfortable and she definitely makes learning super fun. I enjoy the classes. Theresa does a wonderful job guiding me along in my lessons. She carefully watches my technique, suggesting slight changes I can make in order to improve my style. I have been playing clarinet professionally for over six years. My first performance was a production of "Guys and Dolls," and it opened up opportunities to play multiple woodwinds in all kinds of contexts. I am currently on-call to play with a number of symphony orchestras in town as well. I am excited to share my passion for this beautiful instrument! I am a woodwind specialist with a degree in saxophone performance from the University of Arizona. I have been performing and competing since the fifth grade. Since arriving in Tucson in 2010, I have performed with dozens of groups, perhaps most notably the Tucson Symphony Orchestra. I play a variety of musical styles including classical, jazz, musical theater, rock, funk and avant garde. Music has provided me the opportunity to travel all over the world, from London to China and Mexico to Peru. on and anything else that inspires each individual student. I have taught beginners as young as eight years old to advanced players well into their retirement. I'm looking forward to sharing my passion with you! Michael is an excellent teacher and he was so patient with my daughter (5th grade). She was way ahead of the other students in her class and he found additional music for her to learn so she wasn't bored. When my 11 year old son first began saxophone lessons with Michael Weiss, he was a true beginner but within 5 months, he was playing a song at a recital! Michael is patient and kind but firm in his direction and has instilled confidence in my son that he can play whatever songs he wants to play with focus and practice. Michael is flexible and adept at tailoring his lessons to the individual's needs. I highly recommend him. I meet my students where they are and am versatile in my teaching. I help students meet their performance expectations and achieve their potential. I graduated from Howard University with a Bachelor in Music Education and am getting my graduate degree in Music Education from the University of Maryland. My primary instrument is clarinet and euphonium but am familiar with most instruments at a beginner to intermediate level. As a woodwind specialist, I have taught clarinet, flute and saxophone during summer camps and programs for multiple years. I'm currently the clarinet technique teacher at Duke Ellington School of the Arts in Washington, DC. I have been knitting and crocheting for 12 years and have made a wide range of products from hair bows to sweaters. I am patient and willing to teach all levels of students in a variety of subjects and am willing to cater the lessons to your needs. Great 1st lesson! Tyra was very professional and had a good first interaction with my son. It’s also very clear she enjoys what she does. I am a private music instructor specializing in woodwind instruments looking to take on clarinet, flute and saxophone students! My lessons consist of a well balanced coverage of exercises (scales, note patterns, etudes, duets, major repertoire, etc) geared towards building a solid foundation in playing technique. This allows each student to be accurate and expressive with a sense of ease in their playing! Students of the studio are also thrown into the world of music! They are strongly encouraged to attend concerts, listen to music regularly, and attend masterclasses. The goal is not just to learn an instrument, but to also develop a life-long love and appreciation for music! I believe that everyone has the ability to enjoy and be expressive on an instrument. It is miss instruction and a lack of passion in music education that allows students to become frustrated and bored, ultimately pushing them to quit their instruments. My goal as a music educator is not only to teach the mechanics of an instrument, but to also inspire a life-long passion for music. Therefore I make a point to encourage students to explore all the music there is to be had in their surrounding environment! This includes attending concerts, listening to great recordings and savoring all the music that our modern-day media has to offer! cal study will enable a fun and easy experience when students pick up their instruments to perform music! In addition to this private study I strongly encourage my students to pursue extra-curricular musical activities outside their school music programs. This includes auditioning for honor bands/orchestras, chamber music, music competitions and effective musical examinations such as Certificate of Merit. I believe a constant setting and achieving of goals is the foundation of growth in anything we do and music is no exception. I am proud to say that the majority of my students develop great interest in classical music, fueling them to push past their difficulties and achieve a high standard of musical performance! Carter is patient and kind, and immediately helpful - just what a beginning sax student would hope for! Carter has been instrumental in my son's growth and development as a musician and clarinetist. He has worked with my son over six years and has displayed patience, exceptional teaching ability and coaching, and clear talent as a musician. Due to Carter's support and teaching over the years, my son has realized tremendous success. He has been First Chair in his Wind Ensemble group at school, a member of the Pacific Symphony Youth Wind Ensemble, and a member of the California All-State Music Ensemble. I strongly believe that, without Carter, these accomplishments would have not been possible! With training at high-level schools and over a decade of diverse professional experience, I'm well-suited to teach saxophone in any style. Whether you need help with school ensemble music, want to learn your favorite melodies, or even want to write your own music, I can offer experienced and relaxed guidance towards your goals! I'm a multi-instrumentalist, teacher, composer, arranger, freshly transplanted to Brooklyn after seven great years in Boston, Massachusetts. My professional experience on saxophone, keyboards, clarinet, flute, and bass in many different musical styles has offered me a wide-ranging palate to teach from. For the past five years, I've worked for multiple organizations and agencies as a private lessons instructor, averaging 15-20 students at any given time and maxing out at over 30! My approach to lessons is laid back, yet goal-oriented. My main goals are to equip my students musical and instrumental fundamentals, help them discover their particular passions within music and work towards related goals, and to foster an environment rooted in fun and mutual respect. My daughter enjoyed learning clarinet with Tyler. As another reviewer has noted, Tyler is a gentle and patient teacher. My daughter could be difficult during lessons and often got distracted, and Tyler was great at steering her back on track and engaging her through new music and exercises. Tyler was the piano teacher for our two daughters for almost 5 years. They were piano beginners aged 4 and 6 when we started. My daughters are more on the shy side, and Tyler ended up being the perfect teacher for them. He is gentle and patient but at the same time got them excited about learning the instrument and playing music of different genres. My daughters enjoyed the lessons very much and they were sad to see Tyler leave for New York. I can highly recommend Tyler as a teacher especially for shy beginners like my daughters were. My son's comment was that Tyler was the best music teacher he ever had and he has had a lot. He misses him a lot. Students are raving about their Clarinet instructors on TakeLessons. Check out some of these recent reviews. tions along the way. She gave both positive and constructive feedback." Denver, CO teacher: Leslie K.
It's Not You, It's Me: What If I Need to Switch Teachers?